John Mooney reported on the protected disclosures made by Sgt Maurice McCabe and former head of the Garda Press Office Supt Dave Taylor to the Minister for Justice Frances Fitzgerald. He reported that retired High Court judge Iarfhlaith O’Neill, who has reviewed the allegations and given a report on the same to Ms Fitzgerald, had been given “conflicting accounts from key witnesses” including the Garda Commissioner Noirin O’Sullivan. Readers will recall how Supt Taylor has claimed that there was an orchestrated campaign, within the gardai, to destroy the reputation of Sgt McCabe. 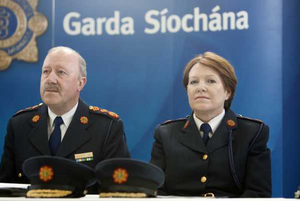 Supt Taylor has claimed he was following orders from senior gardaí and that both the former Garda Commissioner Martin Callinan and the current commissioner Ms O’Sullivan knew about the campaign. A central allegation examined by O’Neill is thought to have concerned a text Taylor says he sent to O’Sullivan informing her a journalist had interviewed a person making allegations about McCabe. Taylor claims O’Sullivan responded to his text with a one-word reply: “perfect”. In a statement to O’Neill, O’Sullivan vehemently denied Taylor’s claims, and pointed out the large number of text messages she got on various matters. The commissioner acknowledged she often responded to text messages using the word “perfect” or “thanks”, and described these as “perfunctory” replies to the large number of messages she received while a deputy commissioner. …The Sunday Times has learnt O’Neill also approached Callinan about an unsolicited approach he made to John McGuinness, as chairman of the PAC, in advance of McCabe’s appearance at a parliamentary committee. 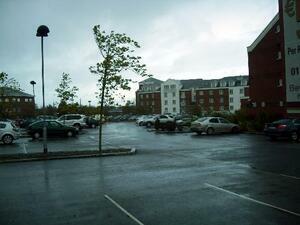 Details of the meeting, which took place in a hotel car park in 2014, emerged after McGuinness claimed he had been given damaging information about McCabe by the former garda commissioner. In a two-page letter to O’Neill, Callinan said he regarded media reports on what had transpired at the meeting as “hearsay” and asked that his constitutional rights be protected. 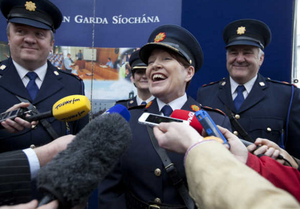 The former commissioner also asked O’Neill for a guarantee his legal fees would be discharged. Posted in Misc and tagged Dave Taylor, Martin Callinan, Maurice McCabe, Noirin O'Sullivan at 2:38 pm on December 19, 2016 by Broadsheet. the commissioner of our police force lies comfortably in a court of law. that alone should warrant a dismissal. theyre rotten from the ground up. everyone in politics. no politician is seeing this and thinking “this is a problem” and going about getting rid of a bad egg like o’sullivan, and gettting in someone who wants to do the job and not get sidetracked with illgeal personal campaigns. we have a serious serious problem in government, and it seems no one is of good stock and virtue. are we doomed to be forever ran by these self-serving, dishonest, incompetent fools? 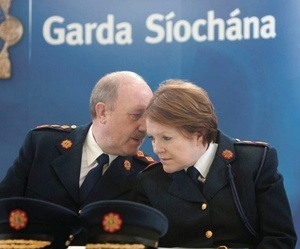 The gardai are corrupt to the core. They have been since the foundation of the state. The majority of the people don’t trust them, and never will. they really are a tainted force. even corruption aside, i genuinely haven’t had an encounter with a gard which wasn’t met with disdain and contempt. ive reported being attacked and another occasion mugged, and when i went to follow up, there were no records of either crimes i reported.